Ok so where has the summer gone? The sun had better make a reappearance for when we go to Devon on holiday in a few weeks time. My reports are done and transition day too so I fe8 like I’m on the home straight now. 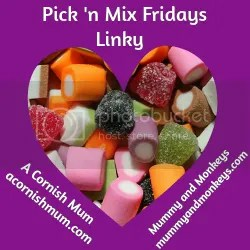 The linky #PickNMix is run by myself and Stevie at A Cornish Mum. Any post on any theme is welcome, old or new. 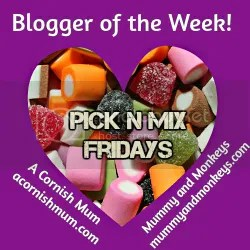 My favourite post from last week was #BML16 and why I’m choosing to focus on the positives by the lovely Mrs Avengel. Go and check it out.